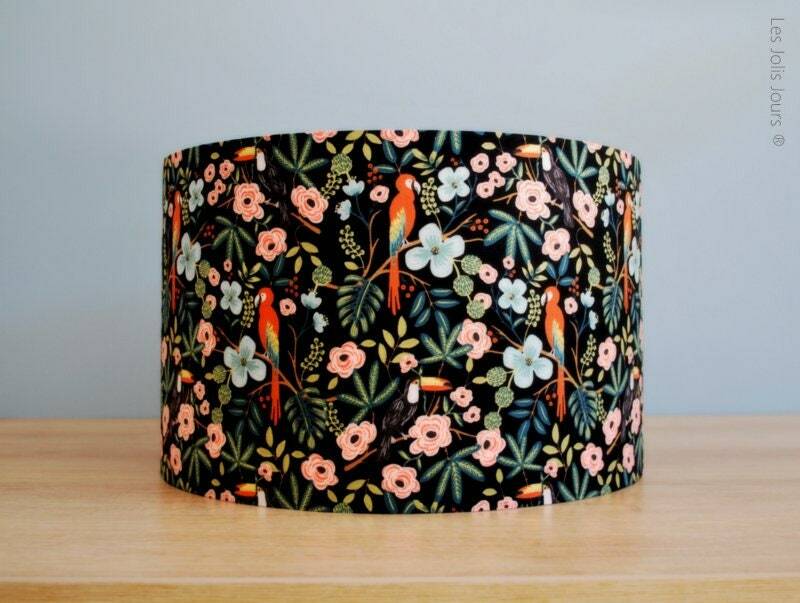 The Lampshade TROPIK a elegant simplicity will bring a modern touch to your home. 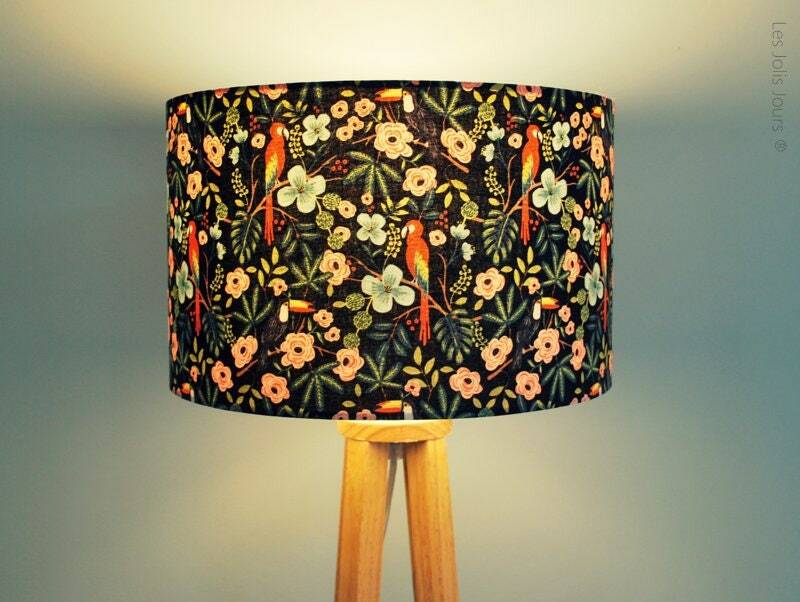 In a bedroom or living room, it will fit anywhere. 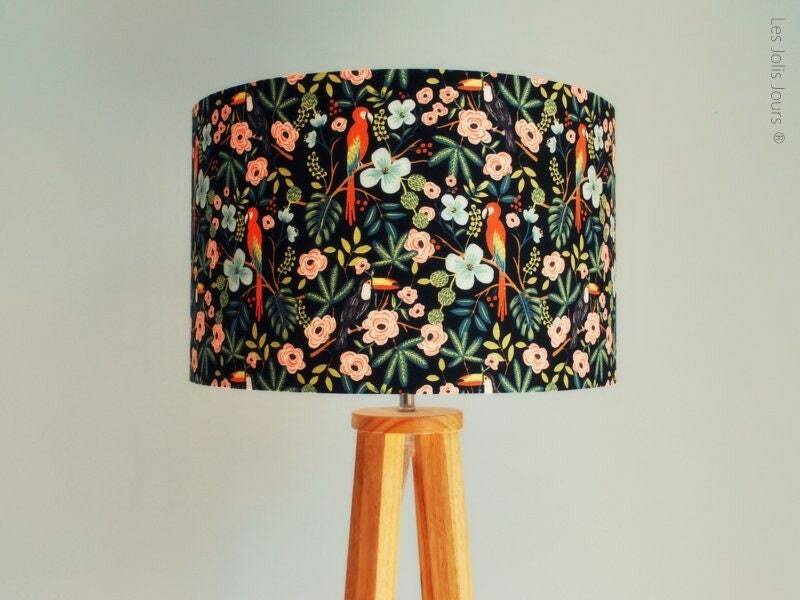 Cylindrical Lampshade covered in cotton, iron and polyphane (non-flammable PVC) printed foliage, macaws and toucans, red, green & blue tones on black background.